GreenGoose asks: What do you want to measure? Are you trying to remember to drink more water, bicycle more, take shorter showers, or take your vitamins? 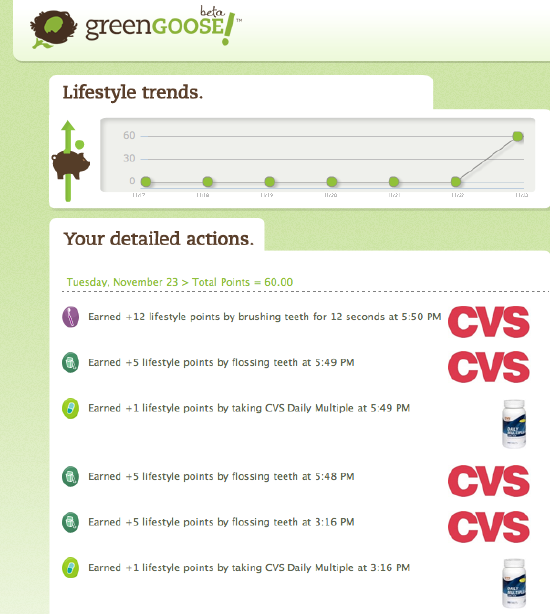 Or are you constantly monitoring your kids to see whether they're brushing, flossing, or putting the toilet seat down? 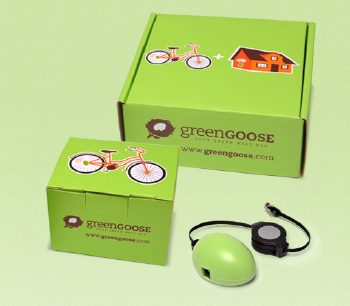 Brian Krejcarek, founder of GreenGoose, thinks the solution may be peppering your home with a collection of small, inexpensive wireless sensors. The sensors are capable of detecting things like movement, sound, or temperature, and they report their findings to an egg-shaped base station that plugs into your wireless router so that it can send data to the Internet. Paste a sensor onto your daughter's trumpet case, and it can track how long she practices. Another on the dog's leash can let you know whether your spouse actually took Sparky out for his 6 a.m. constitutional. "They're able to measure human behaviors when we interact with objects, whether it's getting on your bike or using your toothbrush," says Krejcarek. When I met him earlier this week, he was wearing a few prototype sensors around his neck, at the end of lanyards that looked like they might ordinarily carry employee badges. Krejcarek came to New England from Portland, Oregon, and over the summer he participated in the Betaspring program for start-ups in Providence. He's now working in the Cambridge Innovation Center, and is in the midst of raising a few hundred thousand dollars of angel funding to get GreenGoose's sensors and base stations into production (he hopes to be able to start selling them next year; the price isn't yet determined). "We'd like to see ourselves as a kind of Twitter for behaviors and activities," Krejcarek says. "But without requiring you to do some extra step, like tap the information into your cell phone to let it know that you just did something." He says GreenGoose isn't focused (at least right now) on dangling discounts or rewards to motivate its users to achieve their goals. "It's more about the intrinsic benefits of doing something that's good for you," he says.